Last weekend we heard the sad news about the untimely death of Mike Smith. ‘Smitty’ hadn’t been heard regularly on the radio for nearly a quarter of a century. 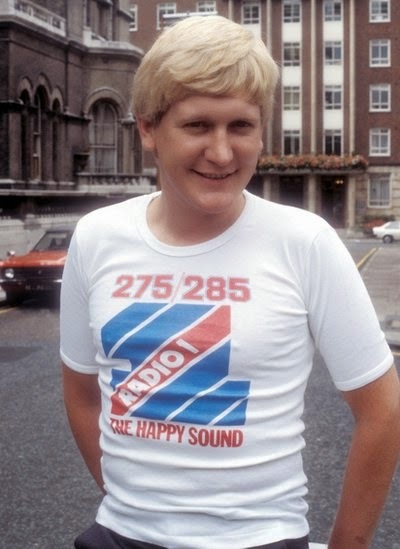 But as the presenter of the breakfast show on both Capital and Radio 1 his time as DJ was fondly remembered. There are tributes from Mike Read, Johnny Beerling and others on this week’s Radio Todaypodcast and on this week’s Last Word. You’ll find a couple of clips from Mike’s shows on Radio 1 over at Aircheckdownloads.com. From my own archive comes this Radio 1 lunchtime show from 12 March 1984. There’s the Day-to-Day Challenge with Julie from Rhyl, a bit of chat with newsreaders Frank Partridge and Andrew Turner and some great 80s music. Listening back what does come across is Mike’s warm, professional style and one is struck by the clarity of his voice. This is a full hour with the music intact recorded on MW only in the days before Radio 1 had an FM service.